If you do not like the idea of getting a chip implant in your hand to open doors and log into office computers, a team from the University of Washington has developed a system that does not require quite so big a commitment. 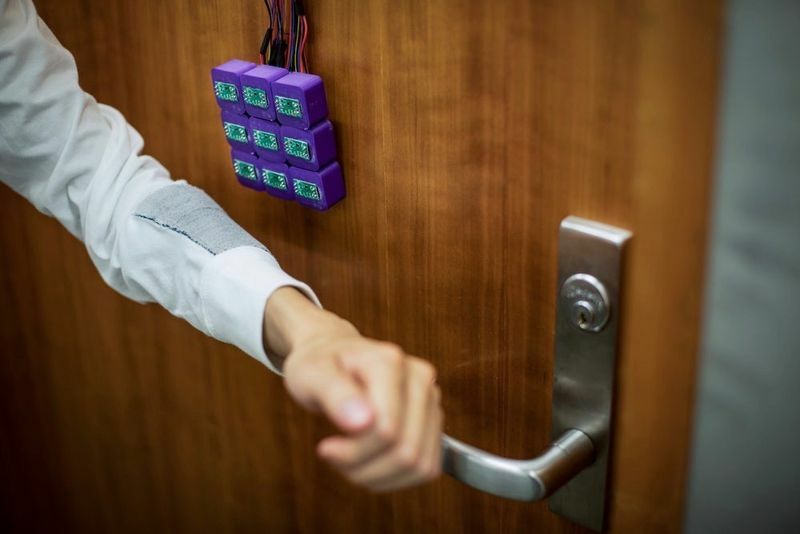 It allows passcodes to be stored in your clothes without electronics, courtesy of a patch of magnetic fabric that can be read by sensors at a door or vending machine. The conductive thread has been used to make health-monitoring wristbands and Solar Bikinis, but the UW team realized the material wasn't just useful for conducting electrical signals: it could be magnetized to store digital data like a hard disk. Codes can be written to the conductive fabric by rubbing magnets on them to generate ones or zeroes in certain sections, which can then be read by simple magnetometers to verify a specific signal and grant access to a computer or approve a payment. The best feature is that all the electronics are in the reader only, so there is no need to embed them in the clothes themselves. "This is a completely electronic-free design, which means you can iron the smart fabric or put it in the washer and dryer," says Shyam Gollakota, senior author of the study. "You can think of the fabric as a hard disk – you're actually doing this data storage on the clothes you're wearing." As well as embedding the magnetic fabric into the sleeves of a shirt, the team also designed a tie, belt, necklace and a wristband that could store data. The research behind the project was presented at the User Interface Software and Technology Symposium and the paper was published online. You can check it out here.